When you plan a mid-July event outdoors in Nebraska’s Pine Ridge, you prepare for the worst and hope for the best. So a large tent was erected to shelter attendees from blazing sun or heavy rain at the dedication of a Monument to the Cheyenne Breakout of 1879. However, Mother Nature was kind the morning of July 15, 2016, providing a cloudy sky and a cool breeze that had some people reaching for coats including Dave Sands, the Nebraska Land Trust’s (NLT) executive director who had served on the Monument Committee to help raise $150,000 for its completion. While it may seem unusual for one nonprofit organization to raise funds for another, the NLT often helps landowners to enhance conservation values that are protected through conservation easements on their land. 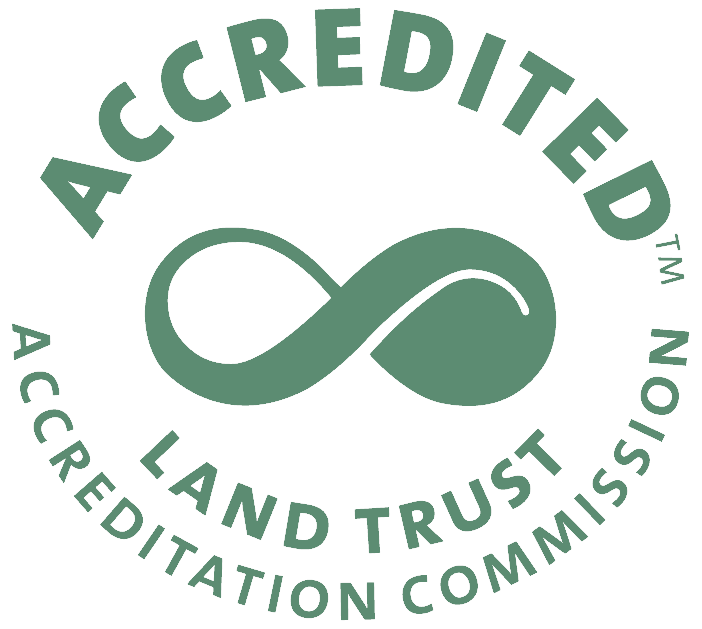 Typically, this might entail removal of invasive cedar trees or other habitat improvement projects which are in keeping with the NLT’s mission to preserve and enhance agricultural and natural resources. On Chief Dull Knife College’s land which was protected through a conservation easement in 2012, the Monument was seen as an enhancement of the property’s significant historical value which falls squarely within the NLT’s mission as well. The dedication began with prayer and reflection at the Cheyenne Barracks in Fort Robinson State Park, where Northern Cheyenne had been imprisoned in the fall of 1878 to force their return to “Indian Territory” in Oklahoma; a place that had brought misery, sickness and death to their people. A solemn two-mile walk to the Monument followed, roughly paralleling the route taken by Cheyenne men, women and children who escaped their inhumane captivity on January 9, 1879. On a beautiful mid-summer morning, it was hard to imagine the bravery, pain, sacrifice and suffering of those who fled the Fort though deep snow in bitterly cold temperatures at night, while being pursued by mounted troops intent on capturing or killing them. Nearly 200 Northern Cheyenne had traveled to the Dedication from Montana and for many, it was the first time they had seen it. Gleaming stainless steel graced the corners and provided a beautiful accent to the red pipestone and black granite that covered the Monument’s base. On each of the four sides was a plaque telling the story of the Cheyenne Breakout through the words of survivors who were there. A stainless steel Morning Star, symbol of the Northern Cheyenne, stood atop the monument while American and Northern Cheyenne flags snapped in the breeze. Once the dedication ceremony began, many spoke of the Monument’s importance to the Northern Cheyenne people, as a place to remember the sacrifices made by their ancestors and as a place to heal from the tragedy. The Breakout was often referred to in remarks as the Cheyenne Exodus, which is an apt analogy as their ancestors made the ultimate sacrifice to escape unjust and cruel imprisonment so their descendants could live in their Montana homeland today. It was also pointed out that the Monument has great significance for all Americans, to remind us of a dark chapter in our history when all people were not treated equally; a chapter that should never again be repeated. 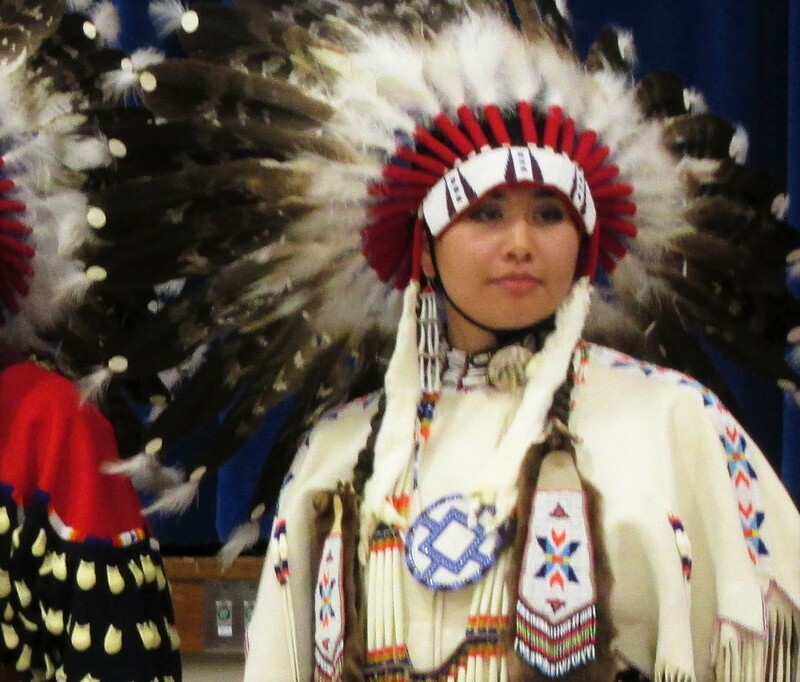 The dedication was followed by a two-day celebratory Pow Wow with many more touching and exciting moments, from the military color guard of Cheyenne veterans to an honoring ceremony that recognized young women who are role models in their community. The incredible generosity of the Northern Cheyenne people also stood out, as families offered a multitude of gifts to other families and individuals. Generosity is a part of the fabric that binds their community together. Thanks to the Ethel S. Abbott, Sterns, Lozier and Scott Foundations, Julie Schroeder, Anne Hubbard, Jane Johnson, Mike and Gail Yanney, Charles Wright and others, there was indeed a deep pool of generosity in Nebraska. One could say that the donors think like Northern Cheyenne when it comes to embracing the beauty of generosity! The Nebraska Environmental Trust and Natural Resources Conservation Service were recognized as well, since they provided funds needed to purchase the conservation easement in 2012, which ultimately became a catalyst for completion of the Monument. But most of the credit for completion goes to the Northern Cheyenne Monument Committee itself. Headed by Edna Seminole and coordinated by Vincent Whitecrane, the Committee articulated the need for the Monument and its importance to the Northern Cheyenne people. They developed a budget for completion and provided oversight for construction, keeping the project on track and under budget. In the process, a dream became reality, culminating on a beautiful Pine Ridge day last July. 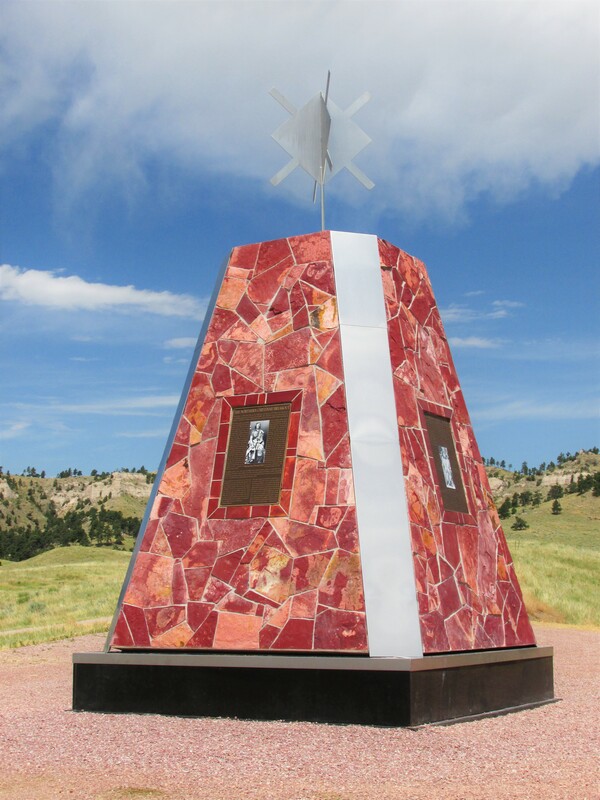 The Monument to the Cheyenne Breakout is located on a hill about one mile west of Fort Robinson State Park on Highway 20 in Nebraska’s Pine Ridge. If the gate to the monument is closed and/or cattle are present, it can still be viewed from the road. But if the gate is open to the red rock road that winds up to the Monument, people are welcome to sit on the stone benches and quietly reflect on the beauty of a spot that touches the soul, the ugliness of events that occurred there, and the heart-rending stories of survivors written in bronze on each of the Monument’s four sides.